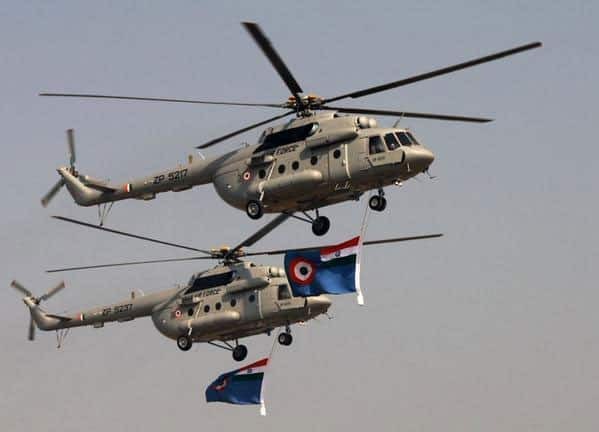 Indian Air Force Mi-35 helicopters fly above soldiers marching during the Air Force Day parade at Hindon Air Force base near New Delhi. 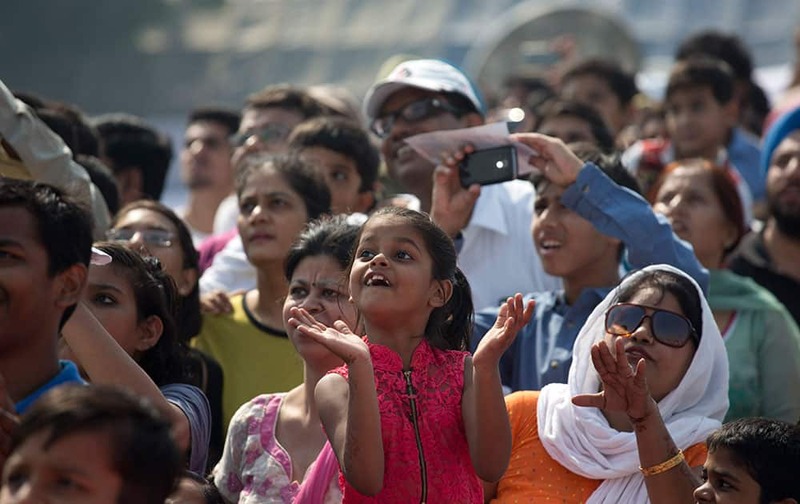 A girl applauds as she watches aerobatic performances during Air Force Day parade at Hindon Air Force base near New Delhi. 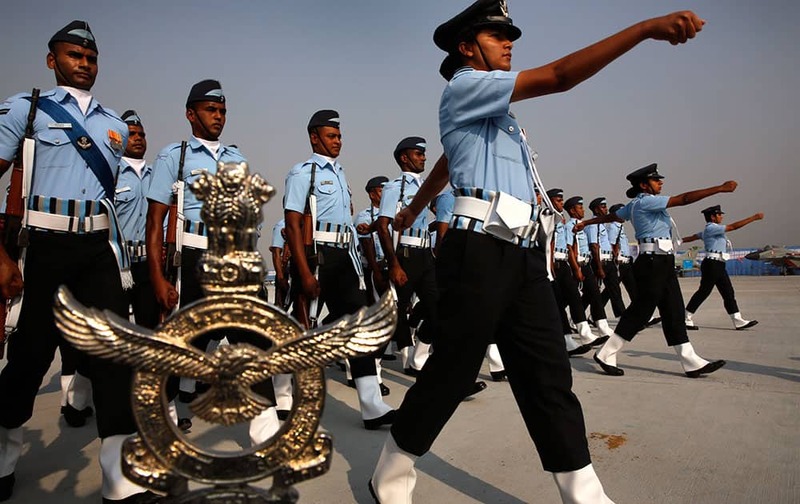 Indian Air Force women officers lead a marching contingent during the Indian Air Force Day parade at Hindon Air Force base near New Delhi. 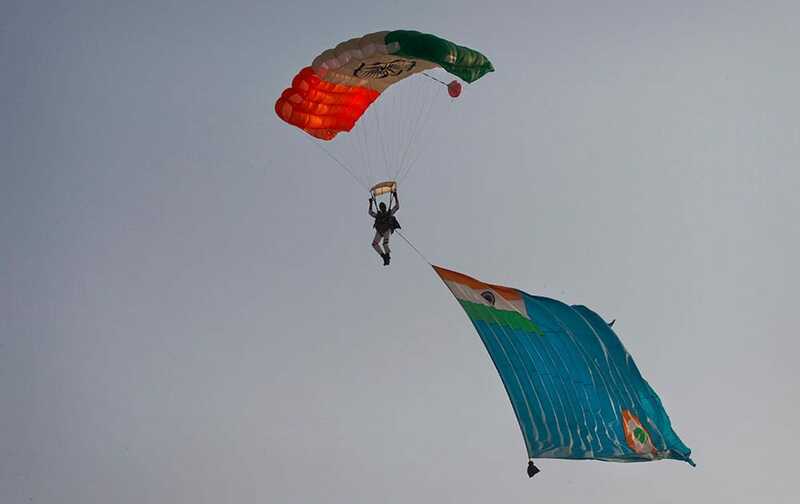 A member of an Indian Air Force (IAF) Akash Ganga sky diving team dives with an IAF flag during Air Force Day parade at Hindon Air Force base near New Delhi. 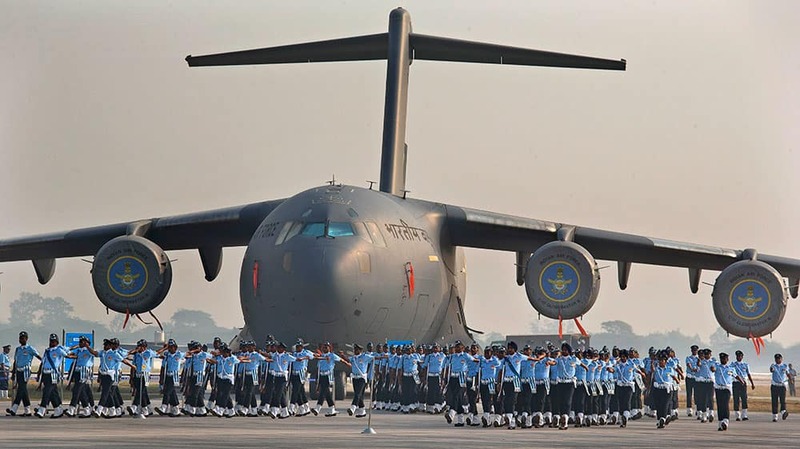 Indian Air Force soldiers march past the IAF C-17 Globemaster during Air Force Day parade at Hindon Air Force base near New Delhi. 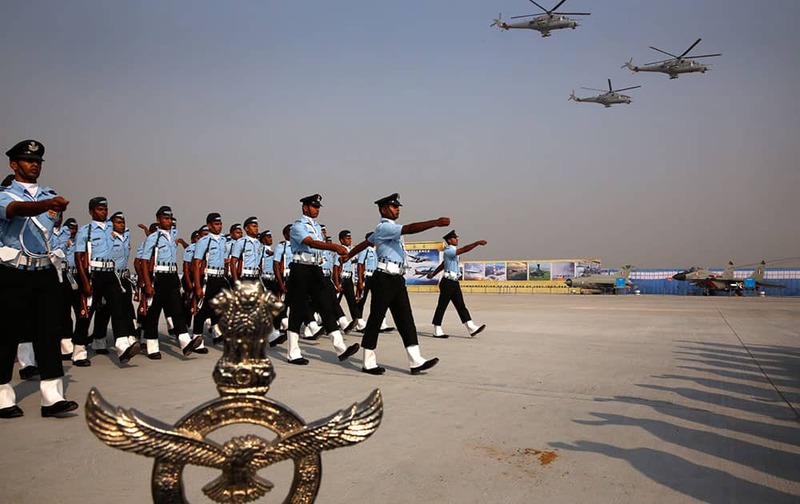 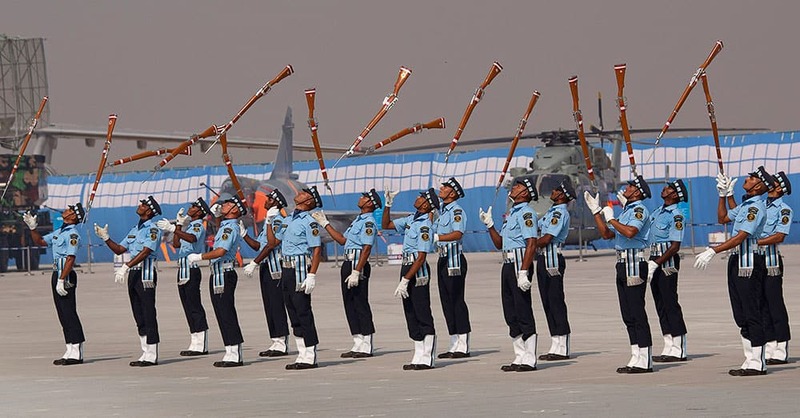 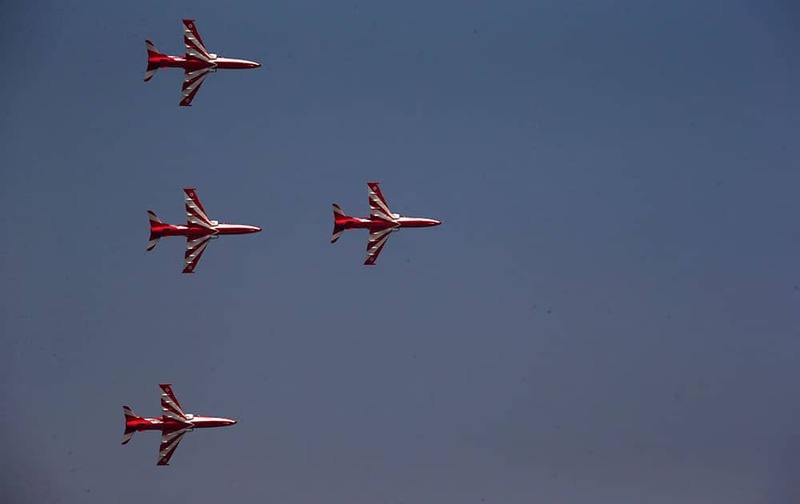 Indian Air Force Air Warrior Drill team display their skills during the Air Force Day parade at Hindon Air Force base near New Delhi. 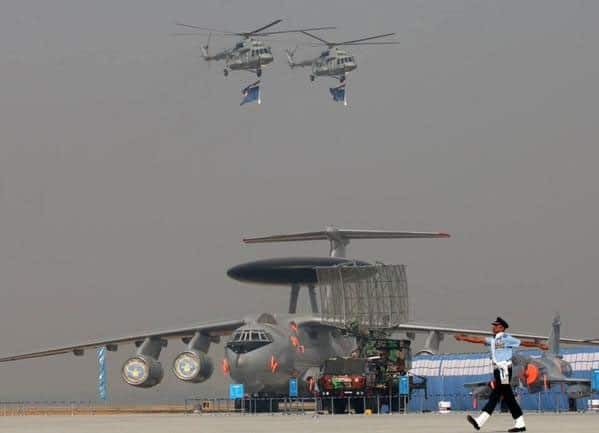 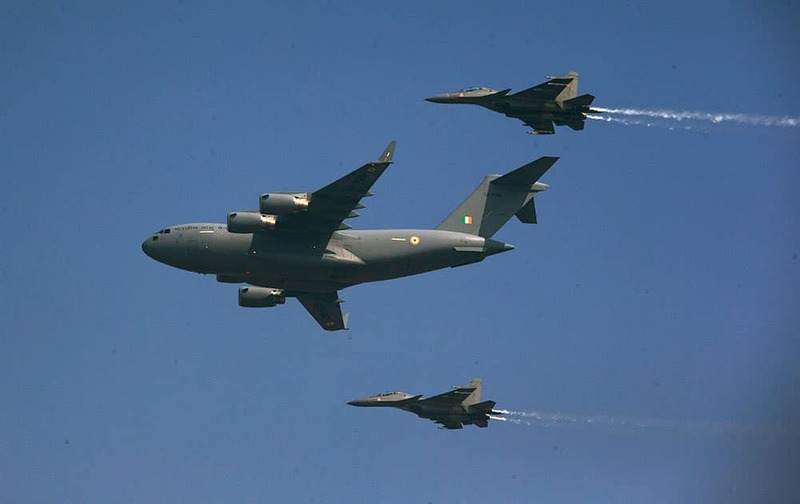 Indian Air Force C-17 Globemaster, center, flies with two Sukhoi Su-30 MKI during the Air Force Day parade at Hindon Air Force base near New Delhi. 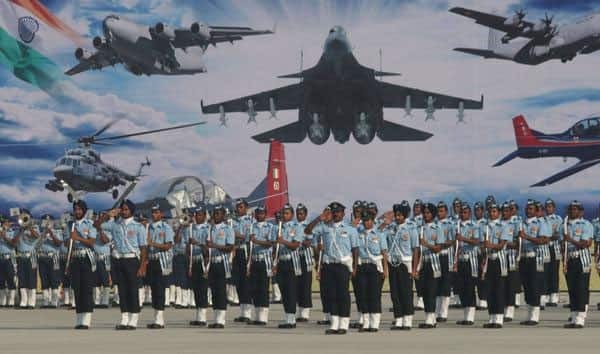 Indian Air Force Suryakirans comprising of four Hawks fly in a formation during Air Force Day parade at Hindon Air Force base near New Delhi. 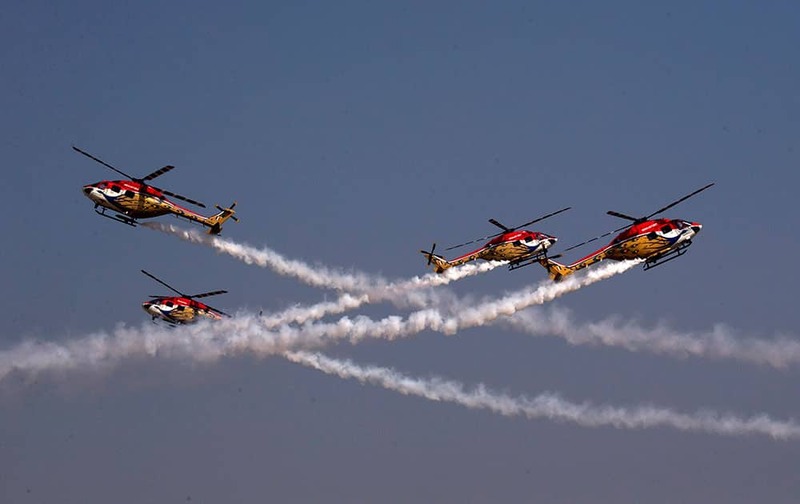 Indian Air Force Sarang Helicopter team display their skill during Air Force Day parade at Hindon Air Force base near New Delhi. 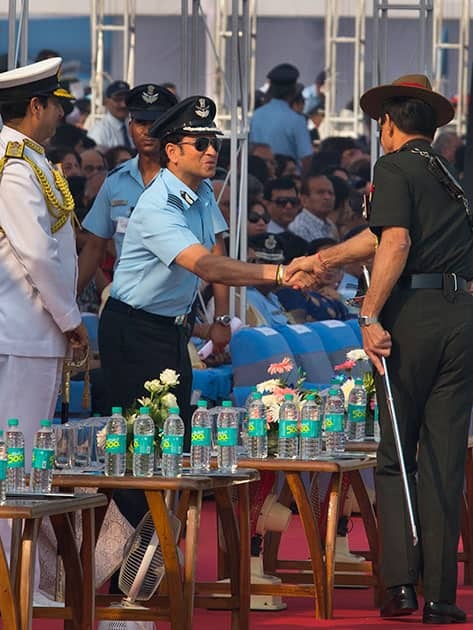 Former Indian cricketer and honorary Indian Air Force (IAF) officer Sachin Tendulkar shakes hand with Indian army chief Dalbir Singh Suhag during the Air Force Day parade at Hindon Air Force base near New Delhi. 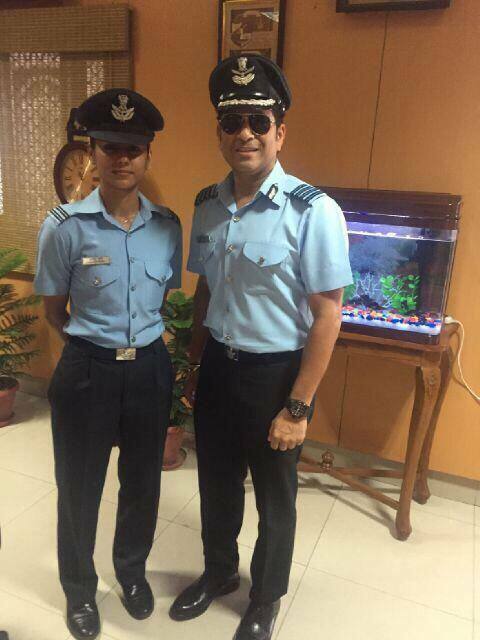 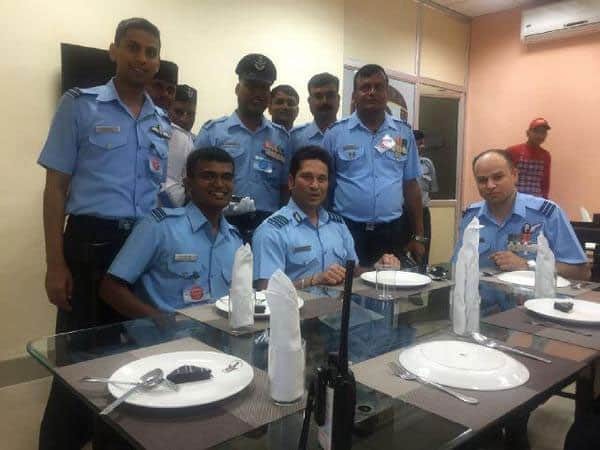 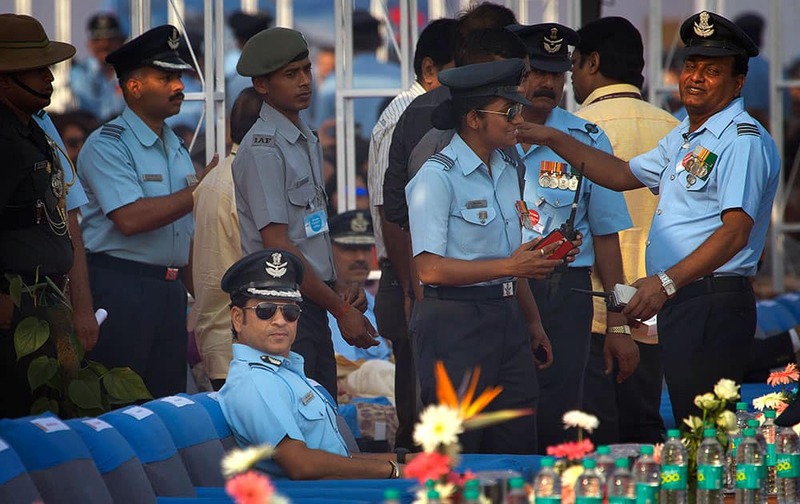 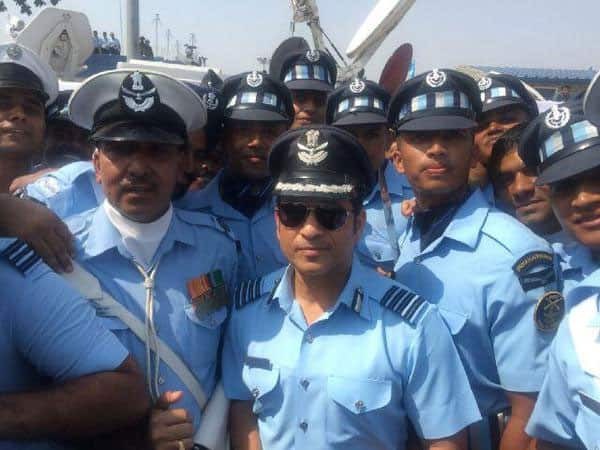 Former Indian cricketer and honorary Indian Air Force (IAF) officer Sachin Tendulkar, seated, attends the Air Force Day parade at Hindon Air Force base near New Delhi.